Case Study: The ultimate end-to-end manufacturing solution? 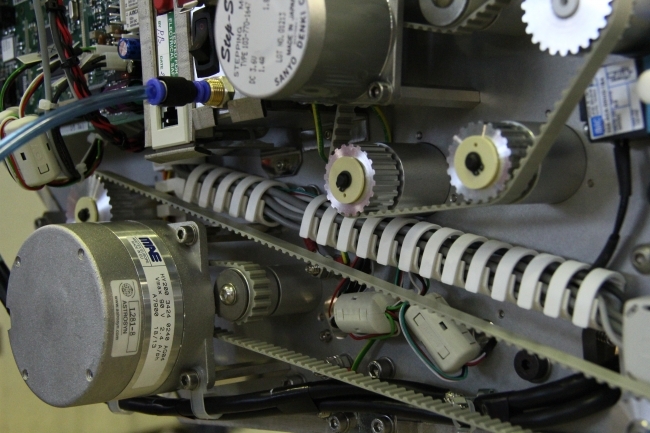 In this case study, JJS Manufacturing highlights a partnership with an OEM that designs and sells complex electro-mechanical packaging machines, which are sold into the food, beverage and pharmaceutical sectors. Each product is configured-to-order, depending on the application it is being used for and the country it is being shipped to. To support global demand and remain a market leader, the OEM requires tested product available to ship on the same day (providing orders are received by 2pm) by the Electronics Manufacturing Services (EMS) provider, or on the next day in the worst case. A range of spare parts and optional extras are also available to the end user, and the OEM expects these to be included with each order, within the same timescales. OEM provides an annual sales forecast, which is broken down into product variants. Working with this information, JJS applied the “twenty-five percent rule” (plus and minus) to allow them to be able to react to any unplanned peaks and troughs in the OEM’s demand. This sales data is then broken down into raw material demand, so that the EMS provider’s procurement team can use it to negotiate annual supplier contracts and pricing. To retain some flexibility and to help minimise overall stock commitments on both sides, the OEM underwrites twelve weeks’ worth of finished goods, work in progress and raw material stock at any one time. Unavoidable minimum order quantities (MOQs) and raw material with a lead-time of over twelve weeks are also covered in a separate appendix within the main SLA. 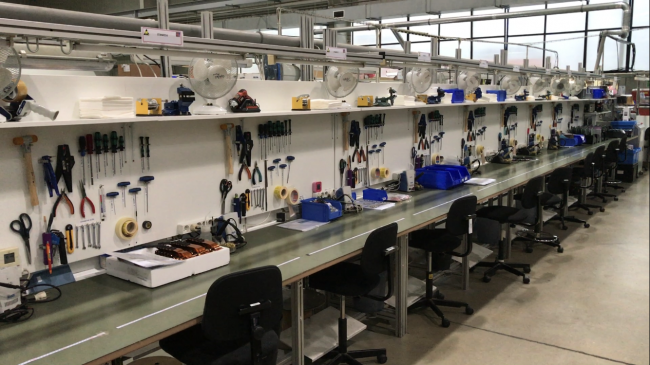 Several lean production lines, each split into ten separate build stages, have been set up within JJS’ Central European facility. Raw material and completed PCBAs required to produce completed machines are situated line-side in front of each operator. A Kanban system has been installed and is replenished throughout the day by production supervisors – not the operators themselves – to maintain operational efficiency. Orders for configured products are sent to JJS throughout the day and passed to the production team to action. Any orders received by JJS up to 2pm local time are expected to ship that day; those received after are expected to ship the next. Once a machine reaches the end of the production line, a functional test is carried out, as well as a final finish check, which involves verifying all moving parts like rollers, etc. still turn freely, and the machine is cleaned thoroughly. Tested units are then “shipped” into the OEM’s dedicated warehouse area located on-site at JJS. This is an area where trained JJS staff and the IT infrastructure to support them effectively work on behalf of the OEM and act as an extension of their logistics team. These staff “receive” completed assemblies from the OEMs supplier (JJS), and then book these into stock on the OEM’s global computer system. The JJS staff working on behalf of the OEM then release the product for sale, pick any spare parts or accessories that have been ordered by the end user, package the machines and ancillary items within branded packaging, and then attach the OEM’s official delivery paperwork. To finalise the process, this same team arranges transportation and ships the products directly to end users, throughout the world, without the OEM ever seeing or touching the product. This is perhaps the ultimate in end-to-end manufacturing solutions built on years of mutual understanding and trust. And the result? An OEM completely free to focus on designing the next cutting-edge product while expanding market share, without any distractions associated with manufacturing, order fulfilment or logistics.